Philip Larkin works at University College Dublin, where he is Professor of Clinical Nursing, and at Our Lady’s Hospice and Care Services, also in Dublin. This book is the result of interviews conducted with 19 healthcare professionals working in palliative care. And the list of contributors is very impressive: Janet Abrahm, Mary Baines, Ira Byock, Augusto Caraceni, Carlos Centeno, Mark Cobb, David Currow, Julia Downing, Betty Ferrell, Kathy Foley, Charles von Gunten, Liz Gwyther, Jo Hockley, Peter Hudson, Mari Lloyd-Williams, Anne Merriman, Daniela Mosoiu, Irene Renzenbrink and Mary Vachon. Each contribution follows a standard format. There is a brief biographical sketch, followed by an autobiographical account of how they came to palliative care, what happened after that, and what palliative care means to them. I found these stories fascinating – I thought they alone were almost worth the price of the book. This is followed by a discussion of compassion and the compassionate practitioner, a short case history, and a discussion about fostering sustainable compassion. The definition of compassion – com (together with), pati (to suffer) – is elusive. Nouwen’s definition – ‘entering into the hurt of others’ – is rejected by some because it is more about the clinician than the patient. Sasser and Puchalski have offered ‘it provides the unspoken language to address unspeakable suffering’. Others have problems if the definition includes or implies pity. For some, including Cicely Saunders, compassion is linked to their religious beliefs, but compassion is not the exclusive province of Christianity or any other religion – it is purely human. Each of the contributors to this book provides their own interpretation of what compassion is and what constitutes compassionate clinical care, and the subtle differences underline how personal it is. This is an important book because compassion is at the very core of what we do. How do you achieve it, or teach it? There are professional barriers (‘the over-professionalization of palliative care’) and institutional hurdles. Then you have to keep doing it – make it sustainable. And, whilst you lavish compassion on your patients, don’t forget to show some to your colleagues as well. Here are the thoughts and advice of 19 experienced palliative care professionals on all aspects of compassion, and much more. From the Swiss psychologist and theologian who wrote Dying. 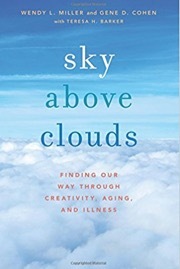 A Transition (Columbia University Press, 2015), and which was reviewed in this column in September 2016, this book focuses on the spiritual experiences of, and the spiritual care for, the seriously and terminally ill.
She starts by describing spirituality as a matter of human experience: the experience of the inconceivable. Whether you call such experiences an experience of transcendence, an experience of God, or a spiritual experience is not important. Next she discusses the liminal sphere, which is described as between two worlds. She goes on to characterize what constitutes an experience of transcendence, who is more likely to experience them, and describes the different forms they may take. In the background are the results of her one-year prospective study of 251 cancer patients, 53 per cent of whom reported one or more spiritual experiences, so her descriptions of the epidemiology of spiritual experiences is based in fact. More importantly, there are countless case histories and quotes from those patients throughout the text. I was fascinated by the observations reported and/or her interpretation of them. The last two chapters are about spiritual care – what it really is (just needs-based, or spirituality-based as well), who is best to do it, and she devotes the last chapter to a long list of what she believes are useful spiritual care interventions. I found reviewing this book challenging. This might be in part due to my having no particular tertiary training in psychopathology, never mind theology; Renz has doctorates in both. What is here is tightly and clearly written (a tribute to both the author and the translator), but I found myself having to literally take it one sentence at a time. 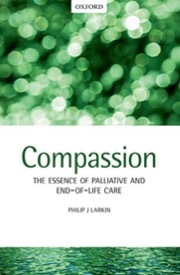 Anyone who works in palliative care will benefit from reading this book – it will expand your horizons regarding spiritual care, both theoretically and in practice. If you work in pastoral care or if you are particularly interested in the spiritual aspects of care, it’s a must. This book aims to present the essence of palliative care for undergraduate students in nursing and allied health; my opinion was that it would not do any harm to make medical students read it as well. It covers care and compassion, the holistic approach, care planning, carers’ needs, the interprofessional team, communication, ethical issues, end-of-life care, death and dying and, finally, self-care. There are numerous illustrative case scenarios and lists of reflection points. Good stuff. Michelle Brown is nurse who currently works at the University of Derby as a senior lecturer. When I picked up this book, I struggled to work out who the authors were and what they did. Then I found the poorly signposted information about authors on p. 303. 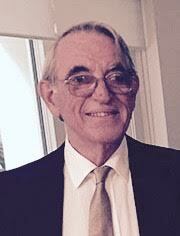 Following a distinguished career, Gene Cohen was the highly respected Director of the Center on Aging, Health and Humanities at George Washington University, who championed the concept of creative aging and is described as one of the founding fathers of geriatric psychiatry. Dr. Wendy Miller was his wife and describes herself as a writer, sculptor, expressive arts therapist and educator who has published on, amongst other things, sand tray therapy for internationally adopted children. Teresa Barker is a career journalist and book collaborator who has teamed with Cohen in the past. Cohen died of metastatic prostate cancer in 2009 and this book is really his legacy. The book has six parts – Discovery, Parallel Universes of Time and Space, New Landscapes, Embracing Uncertainty, Congruence, and Epilogue. There are numerous interesting pieces of Cohen’s own writing, set in italics, reflecting his thoughts on life, medical practice, research, and illness, as well as aging. The Foreword by Christina Puchalski (A Time for Listening and Caring – Spirituality and the Care of the Chronically Ill and Dying, Oxford University Press, 2006), for whom I have considerable respect, was very useful in putting the book in context. She explained that old age can be challenging and lonely, associated with feelings of uselessness and hopelessness. Her recollection of Gene Cohen was that ‘even when his body did not have much energy, he continued to learn, teach and produce . . . He shattered those images of bodies slumped in wheelchairs, people with vacant stares, and warehouses of the silently suffering ill, with studies proving that everyone – no matter how ill, how old, how cognitively impaired – has the capacity to grow, learn, and keep living . . .’ I’m all for that. And when clouds overshadow our daily lives, there is hope in remembering that there is a sky above those clouds. 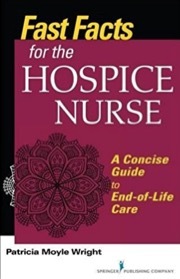 This pocket-sized manual sets out to provide an overview of hospice care for nurses. The book comprises five parts. The first is an overview with chapters about definitions, history, and philosophy of hospice as well as interdisciplinary teams. The second is titled ‘Nuts and bolts’ with chapters about goals of care, levels of care and continuity of care. The third is about the care – existential and spiritual suffering, cultural variations, pain and physical symptoms, supporting family members and caregivers, as well as grief and bereavement. The fourth is about quality in hospice care and the last is about self-care for the hospice nurse. The latter includes a section on lateral violence in nursing, also termed horizontal violence, which I had never heard of; it is apparently an American term for workplace bullying. The text is enhanced by innumerable ‘Fast Facts in a Nutshell’ boxes that stress key points. 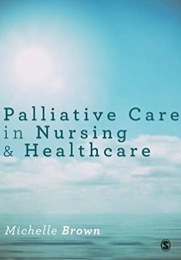 The range of subjects covered is impressive and it is structured according to the standards of practice of the Hospice and Palliative Nurses Association. However, I felt in some places that it lacked the necessary detail. This is particularly so in what I will call the medical chapters such as pain and symptom control. 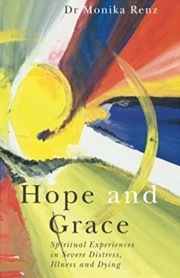 The opening chapter is about hospice and palliative care being separate, different specialties; I am aware of the historical reasons behind this and that the distinction has important financial implications regarding remuneration, but it is not a distinction respected anywhere else in the world and was just a distraction. Otherwise, the contents of this book are pretty much applicable anywhere. So, if you want a quick but good overview of hospice (end-of-life) care . . . This is a summary of a public one-day workshop organized by the Quality in Healthcare Advisory Group on behalf of the National Academies of Sciences, Engineering & Medicine, exploring whether low health literacy is a barrier to receiving high-quality health care. 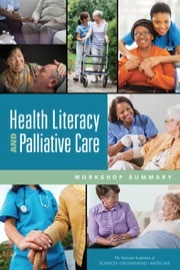 There are some interesting topics, including whether the principles of palliative care should be incorporated more widely in healthcare practice and not reserved for terminal care, interpersonal communication, improving the communication skills of health team members, delivery of palliative care by integrated teams, and delivering palliative care in different settings. The last chapter covers the Roundtable’s reflections although, a little disappointingly (but in accordance with the policies of the Academies), there were no conclusions drawn or recommendations given.